Send us your most inspired poems. The best rhymes will have a special place in our website! A limping whippet is a sorry sight. 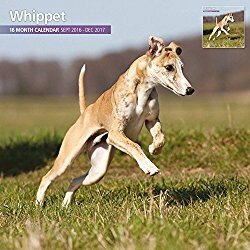 After testing, investigating and spending a small fortune we found the cause of our whippet’s lameness. Whippet Breeding There are always more good reasons not to breed than to breed. Click on the title to read about our adventures with our little unspayed lurcher. Driving with your dog, safely. Leash training a dog is necessary if you want to take your four-legged friend on a walk slightly further than the driveway. If you do not spend enough time on teaching your pet how to walk on a leash you may end up with an uncontrollable dog that will not pay any attention to your orders. If you want to walk your pet instead of being walked by him you need to implement these 4 simple tips outlined below. 4 Incredibly Effective Tips on Leash Training a Dog! Leash training a dog is necessary if you want to take your four-legged friend on a walk slightly further than the driveway. If you do not spend enough time on teaching your pet how to walk on a leash you may end up with an uncontrollable dog that will not pay any attention to your orders. If you want to walk your pet instead of being walked by him you need to implement these 4 simple tips outlined below. Make sure to purchase a standard leather collar. It cannot be too tight or your dog may struggle to breath properly (avoid choke collars as the training methods based around them are not as effective as the ones based on positive reinforcement techniques). When choosing a leash do not go for the ones with adjustable length because your dog will quickly realize that he can go further just by puling harder. If you want to start leash training a dog on the right foot make sure to take your dog to a place that he knows well. Try to get rid of all the distractions you can think of (passing cars, other animals or people). You may end up in your garden or the driveway but that is OK as long as it is a place that your pet feels comfortable in. You will start by making one step at a time and waiting for your dog to join you. If he does tell him to sit down and reward with plenty of praise and a tasty treat. Make another step and wait for him to do the same. If he decides to go somewhere else and starts pulling on the leash don't move and say firmly 'Ah-ah'. Tell your pet to come back and as soon as he slacks the leash and sits down next to your legs reward him. Increase the number of steps you make with the flow of time. This method is very similar to the previous one but requires less patience. Simply start walking and observe your dog's movements. Stop each time he pulls on the leash and tell him to come back. As soon as he does that praise him cheerfully and continue walking. Make sure that the leash is slack all the time and that your four-legged friend keeps close to your legs. With the flow of time he will understand that pulling will not get him further than the driveway. Now, I know how annoying it is to be walked by your dog instead of walking him. You probably got used to being pulled all over the place every time he spots something interesting. There is a great guide dedicated to solving this problem and you can access it instantly at http://www.IWantToTrainMyDog.info This is the exact method I used to leash train my pet and I vouch for it.